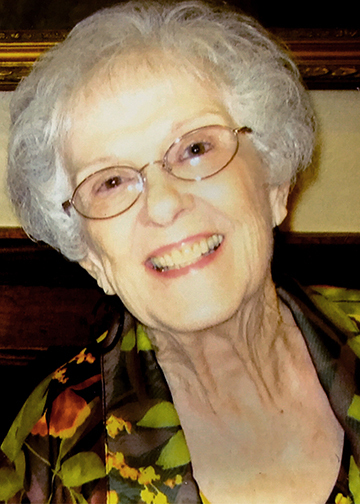 JoAnn “Jodie” Kirkindall, 84, of Denver, Colorado died Sunday, January 20, 2019. JoAnn was born on September 6, 1934 in Port. Arthur, Texas, to Zelma “Bea” Taylor and Charlie R. Taylor. She graduated from Thomas Jefferson High School in Port Arthur in 1952 and then earned a diploma from Port Arthur College. JoAnn started her career at Gulf Oil, where she made life-long friends, then worked at a number of other business and administrative positions. Her passion was cooking, though, and she owned Jodie’s Diner in Nederland and in Warren. Other than a year in Palo Alto, California and about 10 years in Gainesville, Georgia, she lived in southeast Texas most of her life. She moved to live near her son in Denver, Colorado in 2015. JoAnn enjoyed volunteering and helping others, especially those with vision impairment, through The Lions Club and several other organizations. She was also an avid fan of traveling, Cajun music, and Country music. She is survived by her son, William Stark, (and wife Doran Matzke) of Denver, Colorado, her daughter; Susan Swanson (and husband Robert Swanson) of Atlanta, Georgia and three grandsons, Stanton Swanson of Atlanta, Georgia, Austin Stark of Denver, Colorado, and Evan Stark of Boulder, Colorado. JoAnn was preceded in death by her husband Bill Kirkindall. A memorial service for Mrs. Kirkindall will be 3:00 p.m., Saturday, January 26, 2019, at Broussard’s, 505 North 12th Street, Nederland. I met Mrs. JoAnn when Mr Bill brought her to our insurance office to get auto insurance for her. She was always so sweet and kind. Her smile was heartwarming. She will be missed. Praying for your family as you travel this path. Although I never met you, I have met a part of you... your daughter, Susan. Her himor and smile brightens any room. You raised a great woman that touches the lives of many. God speed.